Photo: 2001-02 Upper Deck MJ's Back #MJ-16 (1) | 2001-02 album | El Camino Billy "The Mad Documenter" | Fotki.com, photo and video sharing made easy. Even though I am overall critical of the cards from the post-lockout period, this was actually a good season for cards, although a horrible time for me in real life. From Fleer- Authentix, Exclusive, Marquee, Maximum, Shoebox, and Fleer Showcase. 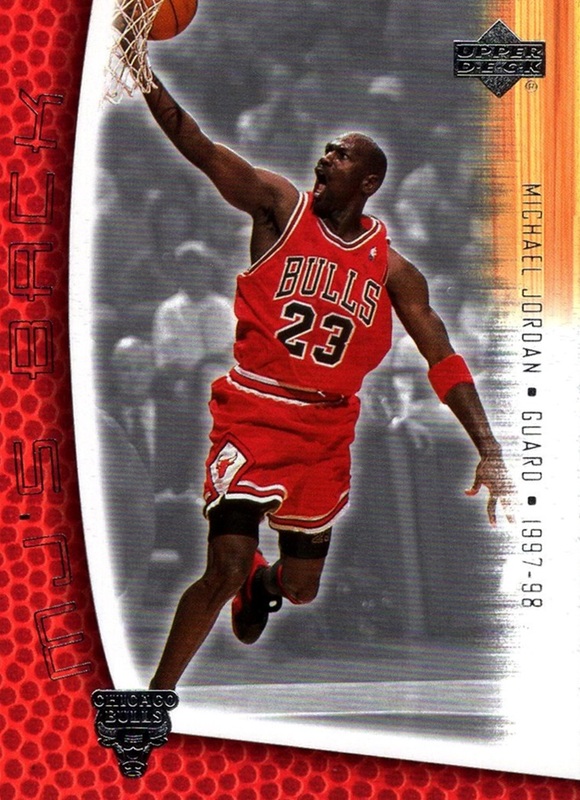 (Flair was it's own seperate brand again) In addition, the basic Fleer set was known as Platinum in this season, no Tradition was issued. Topps added High Topps, Champions & Contenders, Pristene and Xpectations. Upper Deck added Flight Team, Honor Roll, Inspirations, Playmakers LTD. and Sweet Shot.